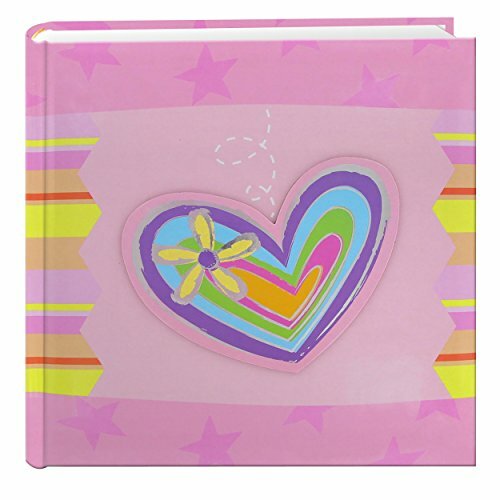 This brightly colored photo album features a 3-D applique cover with deluxe rounded spine. The album holds 200 photos in optically clear pockets with shaded paper backgrounds. Photos are displayed two per page and each page features a memo writing area. The album measures 9.5"x9.25"x2". Photo Safe: Acid, lignin and PVC free. Holds 200 photos up to 4"x6"